Fusion Festival has released the first wave of acts for its second edition in Merseyside, Getintothis’ Nathan Scally has the details. Fusion Festival is back for its second edition on Otterspool Promenade this September. 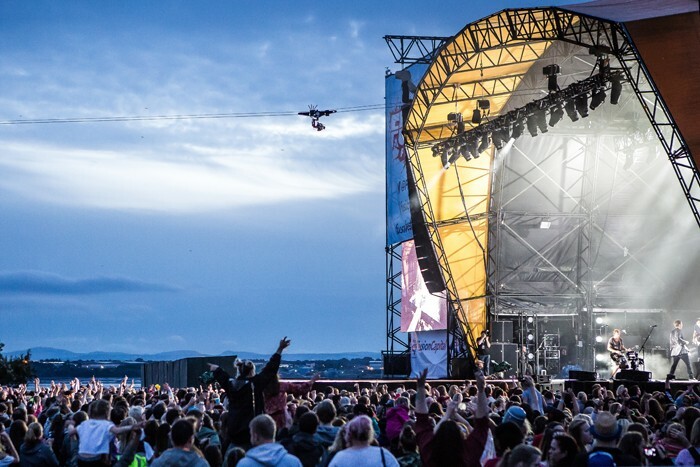 The Capital FM promoted festival made the move from Birmingham to Liverpool last year to celebrate launching the radio station in Liverpool. Taking place on the first weekend of September it’s going to wind down the summer as the festival season draws to an end and a new school year starts. This year’s headliners are both UK festival exclusive appearances from Little Mix and Take That. Returning after playing last year are Tinie Tempah, Ella Henderson and The Vamps. With John Newman, Louisa Johnson, 5 After Midnight, JP Cooper and Jax Jones filling out the rest of the lineup so far. More details about this year’s Fusion are yet to be released with plenty of time until the second chapter of one of the newcomers to Liverpool’s festival scene. Update: The next batch of pop acts have been added to the bill. Ella Eyre, Raye, Starley, M.O, Club Drive, and New Hope Club have all been added to the lineup.